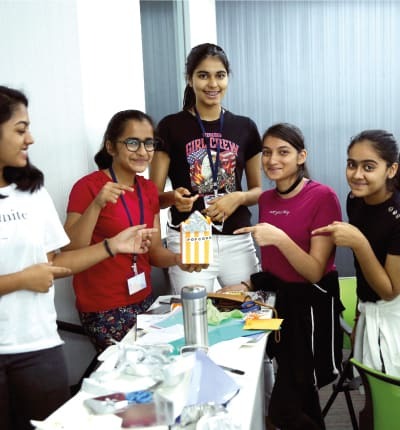 The ISDI’s Summer School – Pre College Academy helps young minds discover their creativity and imagination through a unique program that combines engaging exercises and collaborative projects. It stimulates the students’ capacity to think out of the box and challenges them to find tangible solutions to problems. The program is designed to help participants find where their interests and skills lie and make better academic and career choices. Through a transformative training process, the Summer School builds art and design skills, leadership, teamwork, and confidence in young students.It shows the linear and lateral ways of solving problems and encourages them to channelize their enthusiasm and energies in a productive, creative direction. Over the two weeks, students pursue a college-level curriculum with studio classes, reviews and immersions. They will also learn to work alongside highly motivated students to shape their portfolio and explore creative education options. evaluations are eligible to enroll directly for undergraduate programs at ISDI. Students studying in any grade between 8th (must have completed 7th grade) to 12th grade (includes those who have completed 12th grade) are eligible to apply. + Is Summer School right for me? Summer is a time to embark on new journeys, to travel, to experience new environments, to do something different from the routine. Pre-college academy program is a perfect program for students looking to explore new ways of learning and experiencing their creative aspirations. Discover their own strengths to arrive at an understanding of what excites them individually (the joys and pains of the journey) and in the context of various design vocations. This unique program will help you explore design through hands-on projects that promote creative thinking, problem solving and collaboration. + How will this program help me in choosing my career? The program is perfect for students looking to learn new skills or develop their portfolio for further study in design. Get hands-on experience about what is really like to be a design student and get an understanding to apply design process. The program is taught by multiple faculties who are experts and professionals in their chosen disciplines, students will get the opportunity to discuss are receive guidance about the discipline and their creative aspirations. The student will learn to work in groups projects and will present their ideas through effective communication and presentation skills. 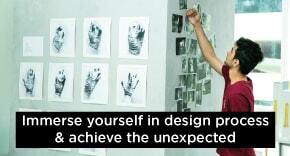 + Which disciples in design will I get to explore? This program is focused and gives a basic introduction to different design disciplines. Student will get a taster of the many skills needed to complete a successful design project within the various disciplines of design mentioned below. Additionally, they will be introduced to numerous Masterclasses to explore their ideas and experiment with materials through sketching and model making. + Will the program help me build my portfolio? 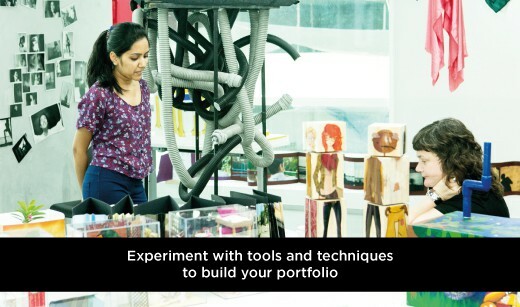 Building a portfolio for entering into a design school or preparing for appearing for design entrance exam, especially when there is strong competition for places at the best colleges. Admission staff in every design school/college look for unique portfolios with something extra that goes beyond school curriculum. By attending PCA program you can either improve your chances to get your first-choice place in your chosen subject, or just explore whether design career is right for you. + What are the entry requirements and what documents do I need to submit with my application? There are no formal entry requirements for the summer program as we want students to learn and experience creative pursuits no matter which school board they belong to or whether they do not have any previous experience in drawing and art. We simply expect students who have a keen interest in creativity and enthusiasm to learn individually and as a part of a group. Students studying in any grade between 9th (must have completed 8th grade) to 12th grade (includes those who have completed 12th grade) are eligible to apply. Online fee payment transaction number. + Do I need art or drawing skills as a pre-requisite to join the PCA? We do not expect students to have any art or drawing skills as a pre-requisite for the summer program except passion and enthusiasm to learn and explore. + What will I receive at the end of the program? Students will receive certification from Parsons School of Design, New York after successful completion of the program. + How and when will I receive my certificate? 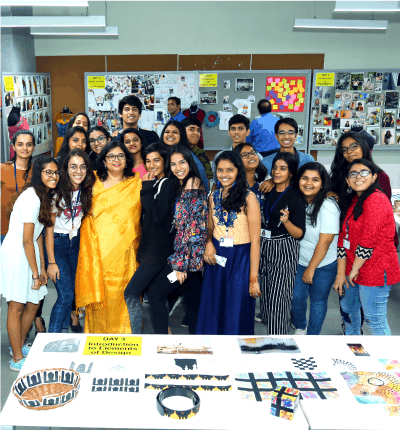 On the last day of the program, students will exhibit and present their assignments and projects to faculty, professionals, students, parents and invited guest from the industry followed by certificate distribution ceremony to successful students. + I have a travel plan during the schedule of the program, can I skip classes? Students receive practical and hands on experience in various disciplines each day, hence to achieve the optimum program’s learning outcome we recommend students to have 100% attendance. + If I am unable to attend the program and withdraw, will I get refund? + What is the number of students in a batch/ class strength? Pre-college academy’s summer program receives overwhelming response of 100+ enrolments every year. The classes are grouped together in a batch size of 25-30 students. + Will I have access to library and other facilities? Students will have access to library and state-of-art facilities including product and fashion labs. The safety and wellbeing of students is our prime concern at all times and will be fully supported by a team of trained and experienced staff/technicians who will monitor each student’s wellbeing and ensure any concerns, if any.